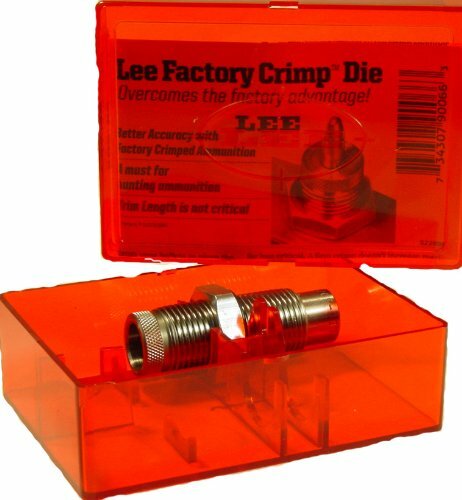 Lee 38-40 Factory Crimp Die crimps the bullet in place more firmly than any other tool. Tests demonstrate that even bullets which have no crimp groove will shoot more accurately. A firm crimp improves accuracy because pressure must build to a higher level before the bullet begins to move. This higher start pressure insures a more uniform pressure curve and less velocity variation.